Welcome to PRL Manufacturing, we are Polished Rod, Polished Rod Liner, and Sinker Bar SPECIALISTS. We are proud to be American made, API Certified, and committed to producing and delivering the highest quality products to you in the shortest timeframes possible. Please review our product lines below and contact our conveniently located partners for a quote. 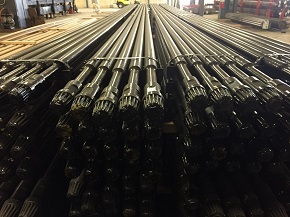 Our Polished Rods are a result of a unique application of metals to produce the hardness to resist abrasion and corrosion. 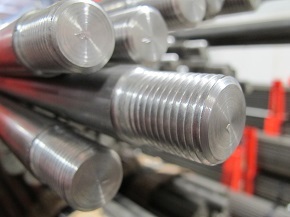 The Polished Rods are polished to a smooth finish to reduce friction in the stuffing box to increase the life of the packing and the Polished Rod. PRL Manufacturing's polished rod liners are produced with our unique processes to to increase hardness and resist abrasion and corrosion. Additionally, these liners are polished to a smooth finish to reduce the friction of the liner in the stuffing box. 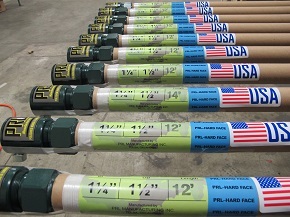 PRL Manufacturing's sinker bars, made from hot rolled carbon manganese steel bar stock, deliver concentrated weight above the pump to help keep the rod string straight and in tension, which reduces buckling of the sucker rods or the pump plunger. 4946 E 66th St N.
© 2020 - PRL Manufacturing Inc.